We are a relatively young shul, led by Rav Pinchas Gross Shlit”a. Our Shul currently has over 150 member families, having experienced very rapid growth over the past 3 years. 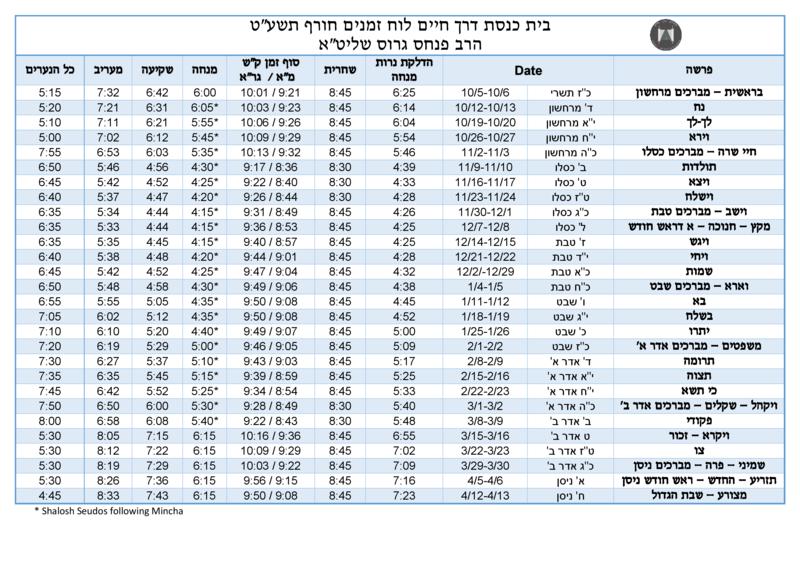 We currently offer minyanim on Shabbos and Yomim Tovim, as well as a full time night seder program, nightly maariv, and anticipate further weekday minyanim, learning sedarim and programming in the coming months. Please feel free to join us for davening or for one of our shiurim to experience the warmth, ruchnius and Torah that our Kehillah is so proud of. Ner Lamaor Pledges can be filled here.